I suspect that the . to : conversion may be a hangover from Lotus 123. In 123 you could enter a range as A1.A2 and it would convert this to A1..A2. 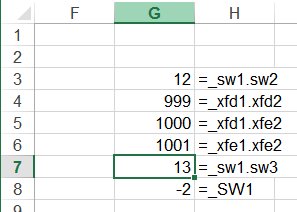 For compatibility Excel converts A1.A2 to A1:A2 (I just checked it still does this). So converting Cell_Address1.Cell_Address2 to Cell_Address1:Cell_Address2 is nothing new; it’s always done that. The dot can be used in place of the colon as the range operator (for compatibility with Lotus 123). It’s replaced by the colon when the formula is confirmed. So I guess that’s why valid range references are being converted. Tushar: But if you open the file on 2010/2013, hasn’t Excel already messed up the formulas? @Ja Karel No it will automaticly ajust the formulas. Might be possible that you need to accept is but most of the thing are taken care of. 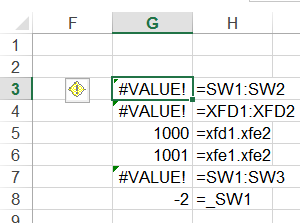 Jan Karel: It turns out that Excel 2013 does not ‘adjust’ the formulas at file open time. 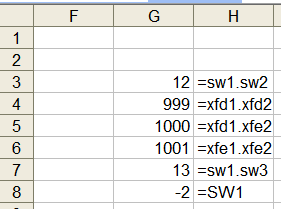 So, there is a window between opening the file and when Excel changes the formulas, which I leveraged to change the names.